Loft Conversion how to and the Loft Conversion process in stages. Loft Conversion how to covers only the basics that are required when building a Loft Conversion. This information is a very rough guide only. 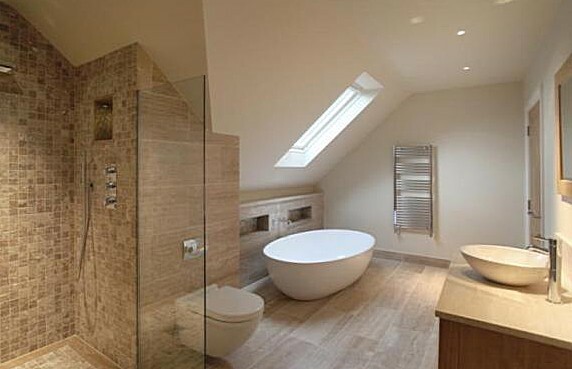 Loft Conversion construction should be left to a professional company for a number of reasons. If you require a more detailed description on what is involved in building a Loft Conversion then please contact your local councils Building Control department and they will give you a more detailed description on how a Loft Conversion is made. Most existing timbers within the Attic are replaced with fire resistant treated timber. These are used throughout the new Loft Conversion. At the manufacturing stage the wood is dipped into and kept within a special liquid until it absorbs enough of the solution. This gives it a more greener colour and most importantly a better resistance to fire. Thicker floor joists are used, the size is determined by the Structural Engineers Calculations. 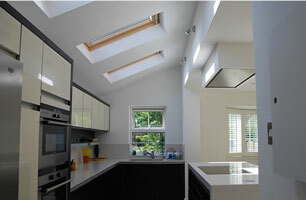 In most Loft Conversions the sizes are – in inches, 7″ by 2″ or 8″ by 2″. The joists span to a maximum of 550 cm to almost 600 cm in length. Remember this how to Loft Conversion guide covers only the basics. R. S. J’s better known as Steel Beams which are pre coated with a special fire proof paint are needed when building a Loft Conversion. They are inserted into the properties brick structure spanning from left to right and because of this procedure a Party Wall Agreement is required as you may need to use a party wall or two for placing a steel beam into. The steel beams are placed above the existing joists that hold the ceiling up below and are placed upon adequate supports, usually a steel plate or a pad stone. A small distance is kept that separates the floor structure of the new Attic Conversion and the existing ceiling below. The beams are used at various points that are outlined within the Architectural Drawing/s. Heavy duty industrial straps are used to tie each joist to the beam/s allowing the two to have a strong and firm grip, similar straps are used at other points in Loft Conversion construction. 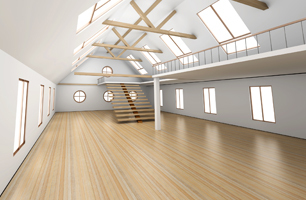 If the property is large then more beams are used at the floor area. A Loft Room can be constructed using just one steel beam within the floor area, this will depend on the property structure type and design. The roofs rafters are either entirely replaced or can be doubled up using new fire checked 6″ by 2″ timbers. 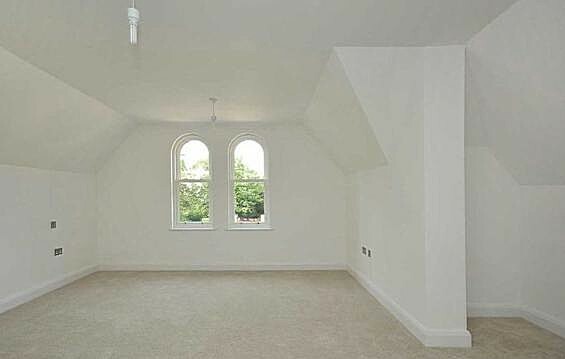 If a Dormer Loft Conversion is required then the actual dormer is constructed using 4″ by 2″ timbers. Another Steel Beam is placed above dormers ceiling height. This beam is situated in an area below the roofs existing spine beam and it supports and holds the timbers for the new dormers roof in place. The dormer roof has a slope to allow the rain water to be diverted into new gutters. The new woodwork is all bolted and strapped together making a very strong Loft Conversion structure that’s all supported by the Steel Beams. Insulation is then installed which confirms to the current requirements for Loft Conversions as are fire proof boards, where required. Other items such as steel mesh is also installed. The Loft Conversions window openings are created by doubling up joists around them for extra support and the structural strengthening around the Loft Conversions new staircase area is also built up. The dormer area is weatherproofed and protected adequately from the outside and tiled. The floor, plasterboard and skim, windows, doors and dormer roof are all installed at their given stages as is the new plumbing, wiring and other items for the new Loft Conversion. The new staircase accessing the Loft Room is added and the en suite is installed. 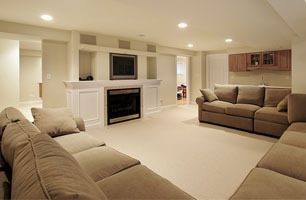 The fire alarms are installed and tested throughout the property. Again please bear in mind that this Loft Conversion how to information is a rough guide and does not detail everything. Building Regulations must be followed carefully throughout the construction of every new Loft Conversion. Building Control Officers check off each stage and make sure that the all the Regulations are met and that everything within the property and the new Loft Conversion meet the current standards that are required. A certificate is issued by the Building Control Department confirming that the new Loft Conversion is built correctly.